The Researcher was launched in 2016 and four editions have been released. 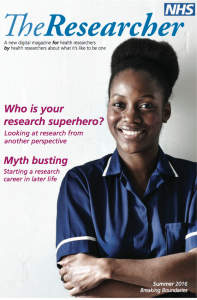 This digital publication, created for health researchers by health researchers aims to raise awareness of research careers among nurses, midwives and allied health professionals. 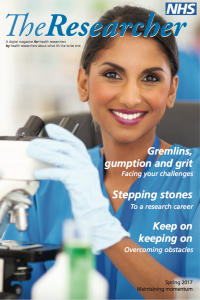 The fourth edition of The Researcher is available to view here. This edition is all about Building Community! The third issue of The Researcher is available to read here and is themed around maintaining momentum. 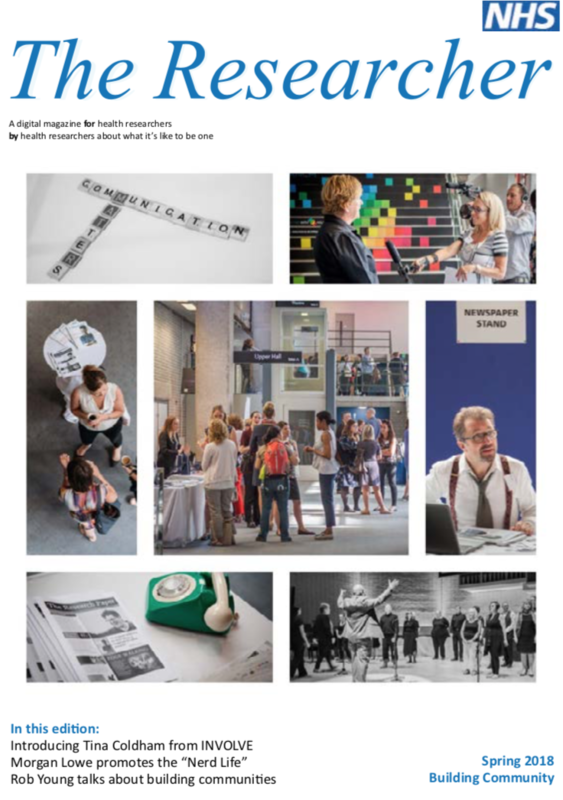 Read the second issue of The Researcher Magazine, Staying balanced. Health Education England (HEE), NHS Research and Development North West and the National Institute for Health Research (NIHR) worked together with a team of early career researchers and award-winning writer Rob Young to produce the first three editions of the magazine which illustrates the real-life stories of what it is like to undertake a research career.. This is a highly collaborative project with Early Career Researchers (ECRs) developing the content and forming the editing team supported by editor in chief, Rob Young. Drawing from a bank of stories, news and content, The Researcher will focus on communicating, in an engaging, energising and innovative way, the backstories from research and researchers. 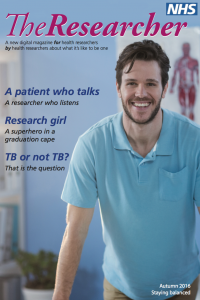 “Following the positive reception of the first issue, I am delighted that we’ve been able to produce another high-quality publication to help support our researchers and hopefully encourage those not already involved in research to become more curious about how they can improve patient care and the part research can play in doing so.